Vrushali V Kummar has been appointed as the Director of Sales with Fairfield by Marriott Pune Khardi, the accomplished and influential hospitality business leader holds more than 18 years of international brand experience. She has served Berggruen, Marriott, Oakwood and Hyatt and has strong knowledge of global practices in hospitality and has well established sales and marketing setups in the luxury and business hotels in major markets like Mumbai, Banglore and Pune. She is a graduate from Pune University and is known to successfully launch Park Hyatt Goa, Oakwood, Courtyard by Marriott and Keys Pimpri Pune. 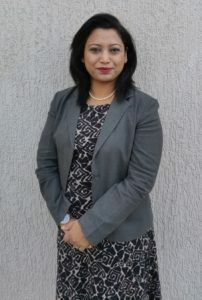 Vrushali is born and raised in Pune and is proficient in extensive market knowledge, she has insights to strategic planning in the corporate and leisure travel markets. She has successfully generated new accounts, sales structure improvement, market share growth in existing accounts enhanced catering revenues clubbed with ROI in marketing communications, revenue management and e-commerce. Her appointment will be crucial for the development and implementation of business strategies for Fairfield by Marriott Pune Kharadi.